According to my mother, this year we planted a reasonable amount of spaghetti squash. I.e. less than last year. They survived the drought and the heat just fine. Spaghetti squash is a vegetable that we have yet to find in the vegetable section of any market. 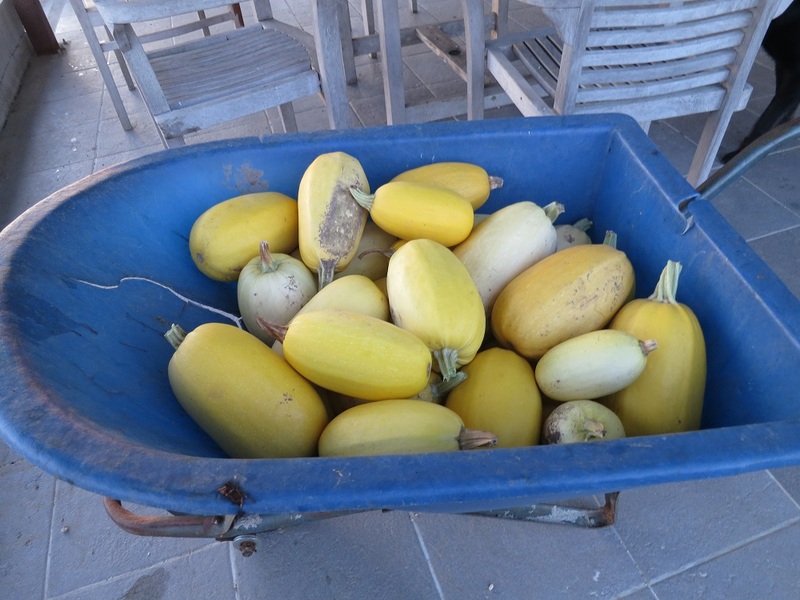 It’s a very versatile squash and we use it as the base for many meals in place of potatoes or rice. We might not have enough to last until next season, but enough to add variety to our meals.